This year will be the 23rd edition release of DATOS: The State of Arizona's Hispanic Market, our annual report on the latest economic trends shaping the Hispanic market in Arizona and nationwide. 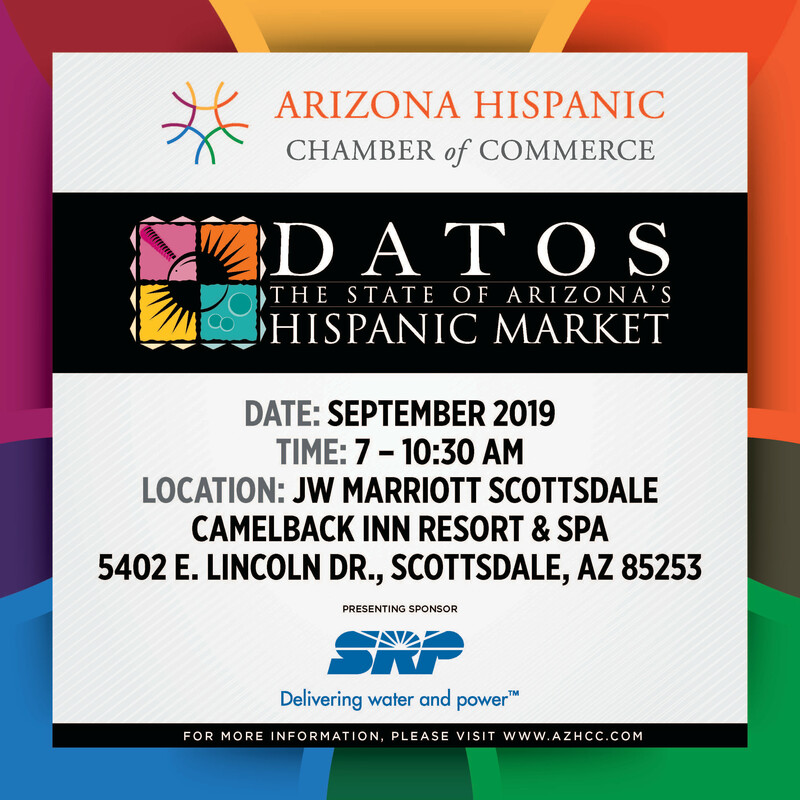 The 23rd Annual DATOS: The State of Arizona’s Hispanic Market report and breakfast conference this year will highlight “Elements of a Healthy Community.” This has become one of our largest and most anticipated events, not one you want to miss! Mini-Expo - Check out the vendors at the Mini-Expo. USB Drive - All attendees will have the latest DATOS report and all previously released AZHCC research publications. Tapsnap Photo Booth - Take a photo with your favorite collegue or friend and leave with a keepsake photo. Network, Connect and Engage with the AZHCC Familia! For event sponsorship opportunities, visit http://bit.ly/DATOS19Sponsorship.